The most commercialized beach of Goa, Calangute beach stretches for about 7km between the faint boundaries of the Candolim and Baga Beaches and overlooks the Arabian Sea. The generously outspread beachfront can accommodate thousands of visitors that flock to the place during the peak season. 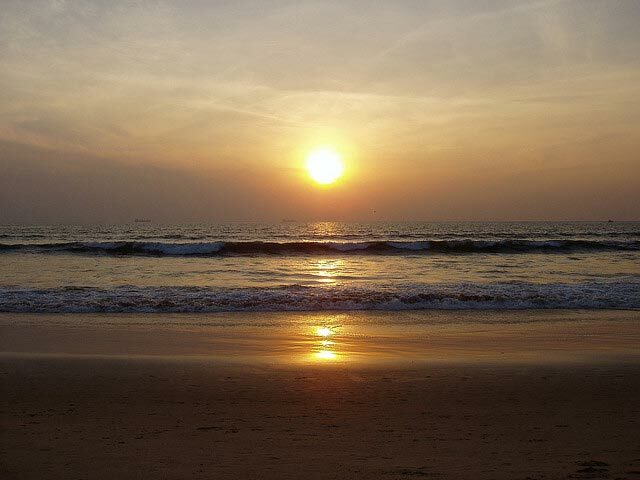 Calangute is famous among the family voyagers because of its comparative calm to the Baga Beach. The best season to visit this place is the winter months but it is said that Calangute Beach is an extensive feast to the eyes splashing its beauty over during the monsoons. The beach is also known for its water sports such as para-sailing, water skiing and water surfing. Though the beach is crowded it is worth the time and money. 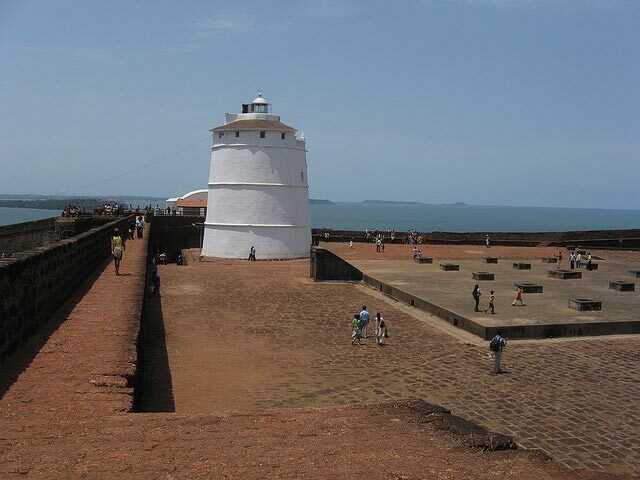 The Portuguese Aguada Fort and its light-house have been preserved from the seventeenth century. Aguada means water and that is how the Fort got its name. The sole purpose of building the fort was to safeguard the place from the Dutch and Maratha invasions. The Fort of Aguada covers up the entire peninsula lying on the western edge of Bardez. The Fort is known for its capacity to accumulate freshwater and has a freshwater spring that is believed was used to provide water to the ships that came there. The lighthouse built at the fort was first used to throw light at an interval of 7 minutes which was later reduced to as low as 30 seconds. The lighthouse provides a panoramic view of the entire area and also attracts a lot of tourists. 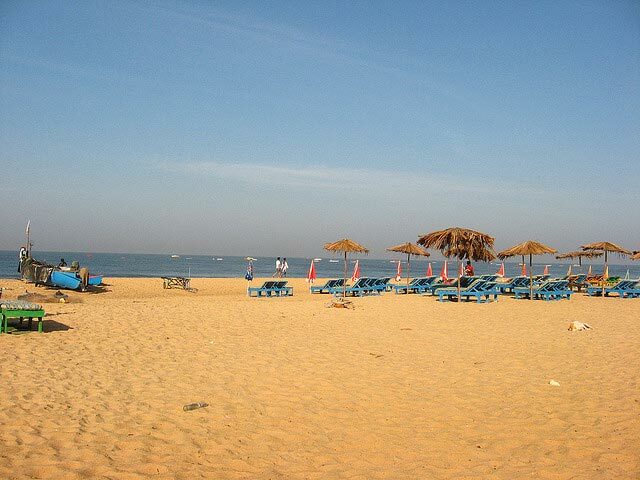 A happening beach of Goa, The Baga Beach is the beachfront of Baga, a sea-side layout of Bardez. At a distance of about two km from the Calangute Beach, Baga Beach is famous amongst the youngsters and the western voyagers. The Beach derives its name from the Baga Creek that merges with the Arabia Sea towards the northern end of the beach. The beach has shacks and restaurants where one can sun-bathe quietly as this beach is less crowded as compared to the Calangute Beach. With a happening night life this place is also famous for water activities and dolphin cruises. 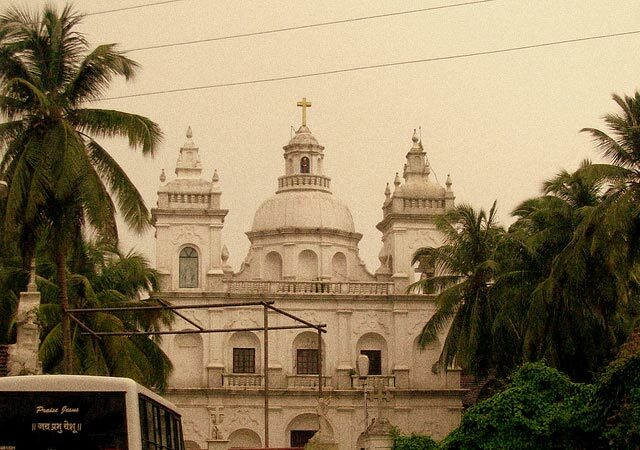 With an enthralling architecture, St. Alex’s Church is one of the most visited and appreciated churches of Goa. This church was founded by the Franciscans in the late sixteenth century. The existing church though was built by the Communidades in 1741 AD with the help of donations. With seven altars, two towers and an impressive dome it is a mesmerizing construction of the bygone days. While present church was built in 1741 AD, the towers were erected in 1765 AD and its premises were fenced in 1916AD. A splendid showcase of the local installation artist Dr. Subodh Kerkar, Kerkar Art Gallery spills vibrant colours that will hypnotize the spectator. The installations are done with earthly things such as bamboos, shells, pebbles and colourful stones. The idea of installation art is to give a new perspective to the existing space. Being a master of this field Dr. Kerkar imparts a modernized look with organized yet creative installations. The place is also open for dance recitals every Tuesdays and also has a multi-cuisine restaurant in the premises. Calangute, though a small village in north Goa has evolved and developed itself to match the beats of the modern culture. People might come here for laid back relaxing vacations or for enjoying the shimmering night life, Calangute welcomes all. The place offers you all the modern amenities so as to be a part of the world even when you are away from it.